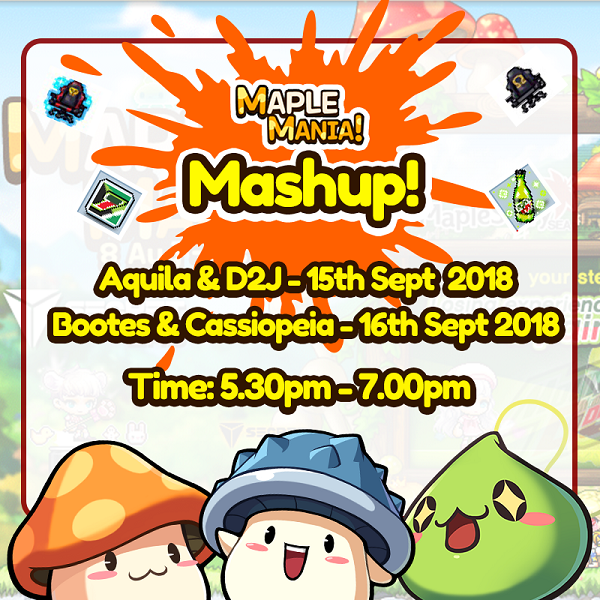 Calling all Maple Maniac! The time has come to celebrate your love for Mountain Dew & SecretLab! Have you figured out what does the MDS in MDS Coins stands for? That’s right! It’s Mountain Dew & SecretLab. Join us on a fun chit-chat session with special items you’ve bought from NPC Progamer Yeti! Sit comfortably & enjoy your beverages! Can you outsmart our Game Masters? Take the ultimate test from our “God of Brain” event to find out! Do you know your Platoon Chronos from your Master Chronos? Update as of 21 August, 2300hrs: Please take note of the amended timeslots for the above event. Papulatus? Pianus? They're not the same right?